A time of austerity: hard for some and for others it barely impinges on their consciousness much less their lifestyle. A time of austerity: time to notice the huge inequalities. We read that the 100 richest people in the world could eradicate hunger. We read that Britain is one of the most unequal societies in the world. On a par with Nigeria. A time of austerity: time to be sensitive to the impact of austerity on people. Yet we have a conservative party which suggests that we are ‘all in it together’. We have MPs opening food banks with a smile on their faces. What is there to smile about the number of food banks tripling? Oxfam’s UK Poverty Director Chris Johnes, said: “It’s clear there is a massive hole in the safety net when so many more people are being forced to rely on emergency food handouts. How do we make sense of all of this? Are we only concerned about the impact of austerity on ordinary people if we are experiencing it ourself? Even then we are probably too stressed and worried to consider the impact that this has on our wider society. Too keen to get to the supermarket last thing at night to pick up the bargains. Personally, I am not finding it easy to make a living at the moment, but I am not exactly going without either. Not many treats and a social life that was almost moribund in any case, has now flatlined. I look outwards and see that it is much worse for others. I see that it is clearly not a case of us being in it together, but rather a time when the poor are being further improverished and women’s march to a greater equality slowing, and that’s not the whole story. There is a feeling increasingly of a divided society becoming more so. No sense that there is a spirit of Dunkirk holding us together. It still needs more of us to be taking action against the inequalities that afflict our society but a little bit of hope is still required, so than enough of us can believe that we might just be able to make some changes in our society, for the better. 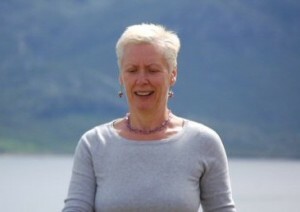 Anne Casey is a regular contributor to the3rdimagazine. Really thoughtful article Annie. It chimes with Phil’s article in considering that “Enough is Enough”. What is enough. When have we got enough? The constant marketing pressure on us all to buy more stuff makes it difficult for us to tell the difference between what we need and what we want. Each of us has to make that decision for ourselves. If we all took just what we needed then all our needs would be met. If some of us acquire goods and money simply for the sake of having more then that consumption will be at the expense of the rest of us.